This is a redo of the previous Circle of Life infographic with some additional information added. This is how we actively create reality, or allow reality to be created for us towards control and enslavement through our programmed, conditioned and mind controlled ways of living in falsity, wrong, immorality and evil. We can choose to align, embody and walk The Way, Truth, Love, Good, Right, Morality, Natural Law, Higher Self, Higher Will, etc. to create a wonderful world of Heaven for all sentient animate beings, or we can choose to deny and reject it’s importance and continue to go downhill and create more of a Hell to live in. 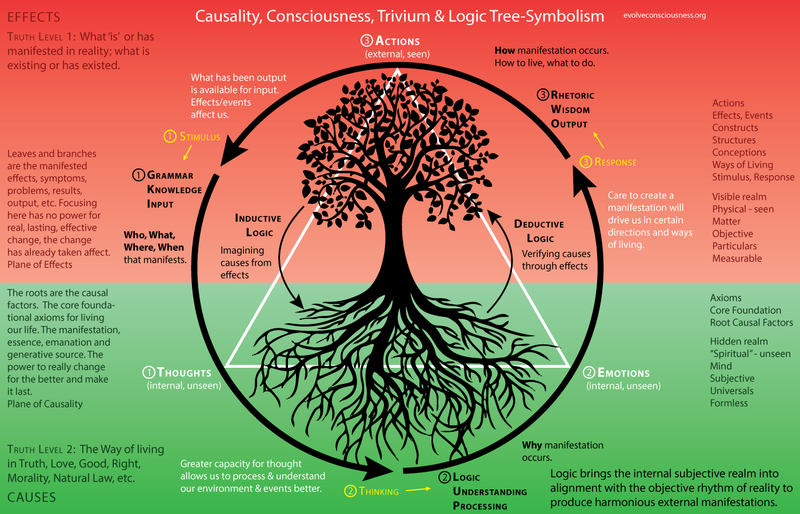 The process of Living, how consciousness processes reality that has manifested in order to manifest more reality in the Wisdom of Right-action, or the foolishness of wrong-action. 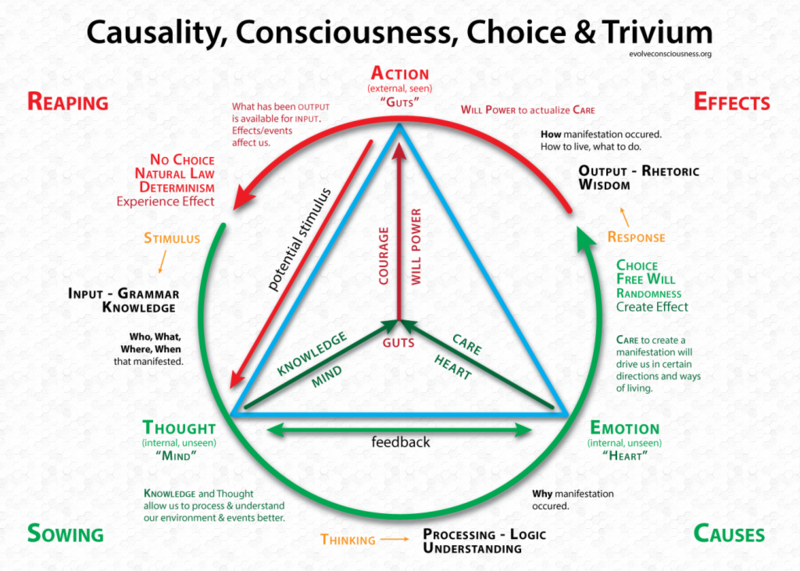 In the triangle of yours I see between Action & Thought the arrow “Potential Stimulus” and between Thought & Emotion the arrow “Feedback”; what is according to you between “Action & Emotion” ? The diagram you misunderstand, is to reflect a whole-consciousness aspect of both thought and emotion leading to action, not simply one or the other, which is why they unite in the middle.